On November 29th, NASA announced that the agency has approved the use of a pre-flown (“flight tested”) Falcon 9 first stage rocket booster on SpaceX’s next cargo mission to the ISS—a launch currently scheduled for Tuesday, December 12th. While NASA Associate Administrator for Human Exploration and Operations Bill Gerstenmaier cautions that this approval was uniquely granted on a by-case basis, and is not to be taken as a broad-strokes endorsement of reusability, the fact remains that NASA’s decision is a signal of credibility: As an anchor customer, NASA’s approval is a key step in the road towards broad market adoption of reusable rocketry. Beyond the supportive optics, NASA’s approval also adds to the momentum behind a downward trend in the price of rocket launches—one of the most-cited benefits of reusable launch components. As launch prices continue to be pushed downward, private launch providers continue to fine-tune their reusable tech in the hopes of reaching full system reusability in the years ahead. The entrepreneurial space movement envisions a future with multitudes living and working in space full-time, and fully reusable launch systems—with the corresponding reduction in launch costs—will be crucial to achieving these ambitions. SpaceX is making good on its promises of reliable reusable rockets, and NASA’s sign-off is another step in the right direction. There’s a whole lot of R&D that goes into developing a reusable launch system (we write, to the surprise of absolutely no one). Both NASA and the U.S. Department of Defense spent time and resources in the mid-’90s on a reusable vertical launch/vertical landing vehicle called Delta Clipper Experimental, or DC-X. While the DC-X, and NASA’s iteration, called the DC-XA, underwent a number of test flights between 1993 and 1996, the project was ultimately scrapped due to competing budget allocations. 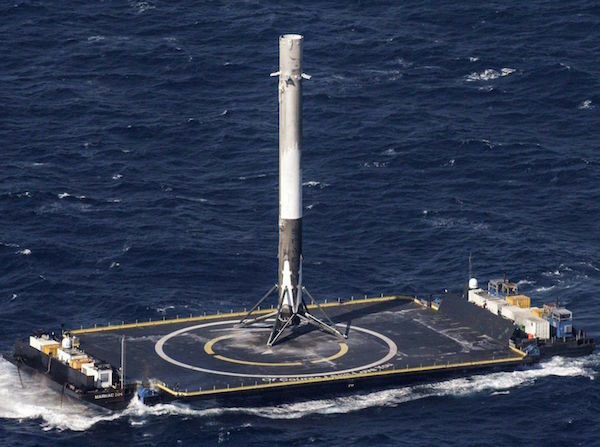 SpaceX, for their part, has sunk around $1B into their reusable rockets since first unveiling its plans for such a system in 2011. Throughout the intervening years the company has repeatedly proven adept at not only launching rockets, but at landing them as well. It wasn’t until 2017, however, that Musk’s much-discussed vision of multi-use launch systems really began to materialize. In March of this year, SpaceX proved that its R&D investment could pay off when the company successfully launched a flight-proven Falcon 9 first-stage booster—the big, powerful portion of a rocket that generates the initial thrust necessary to break free of Earth’s orbit. The historic launch was booked by SES, a major European satellite operator, and affirmed that commercial clients would not be put off by the idea of strapping their payloads to a recycled rocket. Far from it: SES was downright enthusiastic about its role in demonstrating the commercial viability of reusable launch systems. SpaceX followed March’s successful launch of the SES-10 satellite with two more recycled rocket missions—one in June and one in October, each for commercial satellite customers. As commercial clients seem to be undaunted by the notion of launching their goods on a recycled rocket booster, it’s no surprise that NASA is willing to give it a shot. For other private launch providers, this is a highly encouraging signal that their own efforts at reusability will likely be well-received. And for launch providers who aren’t yet taking steps to “go reusable,” SpaceX’s successes—and NASA’s interest—should underline the direction in which the industry is moving. Why reusable rockets? Launch providers have financial and practical motivations for pursuing reusability. The advent of reusable rocketry promises to make spaceflight more economically viable, not only for private launch providers, but for their clients as well. From the provider’s perspective, the ability to reuse a rocket booster can represent significant cost savings: After the successful SES-10 mission in March of this year, SpaceX president Gwynne Shotwell announced that, despite refurbishment costs, the cost of using a recycled first stage rocket “‘was substantially less than half’ the cost of a new first stage.” This is not an insignificant amount of money, given the fact that, per Musk, the first stage booster accounts for about 70% of a Falcon 9’s price tag. Shotwell also said that she expects the refurbishment process to take less time—and incur less expense—as the company establishes best practices for future missions. While SpaceX’s rocket landings and reusable boosters have generated a lot of recent buzz, they were not the only launch company to invest in the technology. Jeff Bezos’ Blue Origin was actually the first entrepreneurial space outfit to launch and land a rocket—a feat accomplished in November of 2015, about a month before SpaceX’s first soft landing. While Blue Origin’s New Shepard is a suborbital launch vehicle, and therefore smaller than a Falcon 9, Bezos is confident that his company’s mastery of vertical launch/vertical landing technology will scale to larger rockets like the orbital New Glenn (which Blue Origin is also designing to be reusable). Another reusable orbital launch system would be a huge boon to the private launch sector—and would likely increase market adoption of reusable technologies. If SpaceX and Blue Origin can streamline the refurbishment process with an eye for turnaround time, launch cadence could easily double. This would represent a major boost for providers’ cash flow, would help to offset R&D investment, and would mean more reliable launch schedules for client payloads. Beyond boosters: In pursuit of a fully-reusable commercial launch system. An orbital launch system is, of course, made up of more than just a first stage rocket booster. SpaceX’s Falcon 9 contains not only the booster, but also a second stage engine, connected to the first stage by a mechanism called an “interstage.” On top of this high-powered assemblage sits either a Dragon spacecraft, or a payload capsule, called a “composite fairing.” The reusable first stage separates from the interstage and the rest of the rocket once the Falcon 9 reaches about 50 miles in altitude. From there, the second-stage engine propels the payload—be it Dragon or composite fairing—to orbit. In December of 2010, SpaceX made history by becoming the first private company to successfully launch a spacecraft into orbit, sending its Dragon capsule (laden with a wheel of cheese) around the Earth twice before splashdown in the Pacific. 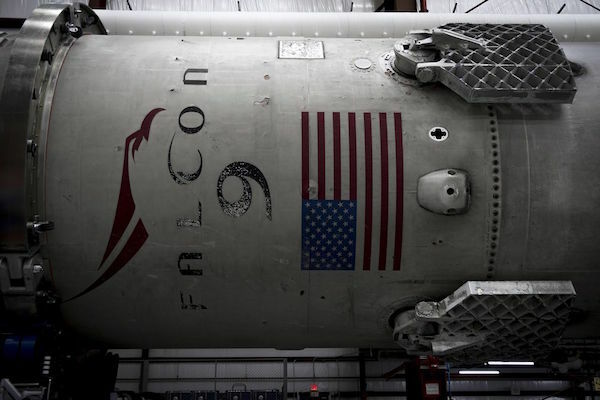 Refurbished Falcon 9 boosters are not the end-all, be-all of SpaceX’s reusability plans. Rather, the lessons learned from these first forays into orbital rocket reuse will inform the next iteration of SpaceX launch systems: the BFR, which the company hopes to launch to Mars beginning in 2022. 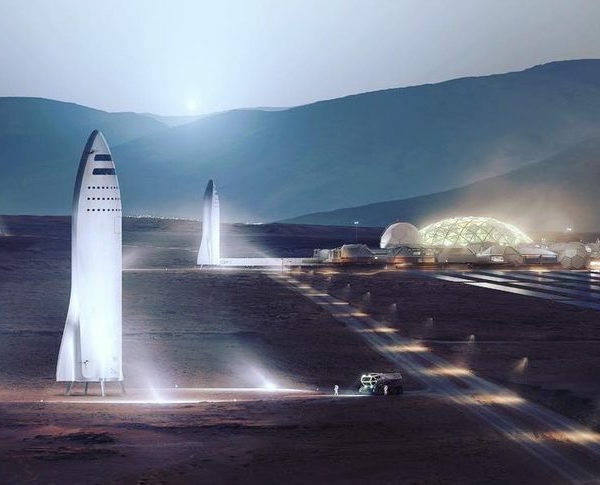 The BFR system, comprising a heavy-lift rocket booster (first stage) and attached spaceship (second stage), will be designed to be fully reusable, and will eventually fully replace the Falcon 9 (and as-yet unflown Falcon Heavy) as SpaceX’s sole orbital launch vehicle. This would mean that the interplanetary transport system would also be used for more quotidien launch services, like satellite deployment—and while such a use might ostensibly be accompanied by an exorbitant price tag, Musk is confident that the advent of full reusability will lower launch costs so significantly that customers won’t balk. In order to one day realize the goal of a fullyreusable, Mars-ready integrated launch system, SpaceX must make it their business to recover a few other components from each Falcon’s flight. There are obvious parallels between the proposed BFR spaceship and today’s Dragon spacecraft, which—good news!—has already been proven as reliably reusable: In June of this year, SpaceX launched a flight-tested Dragon capsule on its second voyage to the ISS. Another recoverable component, in the event of a satellite payload delivery, is the composite fairing—this could represent an additional cost-saving measure in future Falcon 9 missions, as each fairing costs approximately $6 million to manufacture. Undeniably the biggest challenge to a fully reusable Falcon 9 is recovering the rocket’s second stage. To date, the second stage engines have all either been left to decay in orbit, or intentionally deorbited and flambéed upon re-entry through Earth’s atmosphere. However, Gwynne Shotwell cautions that any recovery efforts wouldn’t necessarily lead to reusable upper stages in the current Falcon family—rather, the expended engines would be used as a reference for the reusable second stage spaceship of the BFR launch system. As reusable rockets become industry standard, lower launch costs and increased launch cadence will mean increased access to space. SpaceX’s SpX-13 mission, set to launch to the ISS on Friday December 8th, is a significant step towards the normalization of reusable rocket components. In the short-term, reusable rocket components are lowering launch costs for commercial clients and driving healthy competition between private launch providers. In the long-term, fully reusable launch systems will be responsible for large-scale migrations of humans to deep space destinations—and will truly represent the next chapter in spaceflight and space exploration.